Today, every child wants to be engaged in gaming especially during the holiday seasons. And once you have settled on the best games, you still have to choose between digital games and physical games. Although physical and digital games are both popular, they have they own pros and drawbacks. Due to the benefits that each type brings, some individuals prefer digital games while other love engaging themselves with physical games. So if you are looking for the best game to buy, it all depends on what is important to you. To many parents, physical games have more benefits than digital games. Physical games are those games someone can own. It is a game that you purchase from the gaming stores instead of downloading online. You purchase them in the stores and enjoy them in the comfort of your home anytime you want. With these games, you do not need the internet connection to play them. However, to have physical games, you need to visit the store or wait for delivery. This can take a lot of time. 1. You can lend and borrow them – if you would like your cousin or friend to see your new game, it is so much easier to hand them over a copy. They do not need to install anything. In addition, game rental services are still available. There are many places such as Redbox where you can rent a game. 2. You can sell your physical games – once you purchase a digital game, you are stuck with it forever. But with physical games, you can sell them to various places such as Amazon, GameStop, and Best Buy among many others. Even though you may not get all your money back, maybe half, you can definitely buy another game with your profits. 3. Physical games have many discounts – although both physical and digital games go on sale regularly, it is possible to find great discounts on physical games. Also, buying physical games allows you to buy pre-owned games. 4. Show off your collections – even though going digital helps to save self-space, some people love to have boxes of their favorite games. If you would like to have a physical collection of all your favorite games, it is possible with physical games. Some gamers enjoy buying physical collector’s edition of their favorite games. These are similar to miniature trophies. Some parents have passed down some classic collections to modern generations. To most people, it is more satisfying to give a collection of games than log-in to an X-Box account. 5. No internet problems – although it is easier to download a digital game, it can be frustrating if your internet is not fast or not available. Some people spend the entire day installing a single game. Happily, physical games are installed using a disc and some you do not need to install anything. This means you can get them on your game console very fast regardless of the internet connection. Nowadays most people prefer digital games because it is easy to acquire them. Digital games are video games that you download from the internet to your console, smartphone, PC or any other platform. One of the main advantages of digital games is that you can have them anytime. You do not need to go to the stores to own one. Also, you free up shelf-space or physical space since you will have all your games on a system. On the other hand, you need a good internet connection to download the games. And it is not possible for you to share the game with your friends in a different location. 1. You cannot lose them – having a physical game is good but they can be lost, damaged or stolen. Also, if you have small kids or pets, they can be destroyed. But with digital games, they are all stored carefully in an electronic device. You can also delete them and later re-install them on your PC, PlayStation, Xbox or Nintendo. 2. Digital games are convenient – it is possible to buy and install a digital game without leaving your house. In addition, many digital games are pre-loaded. This means that once you have ordered the game, it will be downloaded and ready to go in seconds. You can also purchase digital games via your mobile phone, tablet, PlayStation, and Xbox and have them installed. 3. You can enjoy cross buy – most digital games can be bought once and be enjoyed across many platforms. This is a benefit you hardly see with physical games. For instance, there is “Xbox Play Anywhere” that can be purchased once and be played on platforms such as Xbox and a PC. This is an important feature for gamers who prefer to own one digital game device. 4. Fast access to games – if you would like to play a video game the same day it is released, then you need to choose digital games. It is possible to pre-install digital games and start playing once they are released. 5. Digital games are cheaper – if you would like to save some money, then you need to think digital. Apart from saving money on trips and delivery costs, most digital games are cheaper compared to physical games. So, if saving is your number one priority, then digital games might be your best option. Which one is better – Digital Vs. Physical games? A lot of people say that going with physical games is the best option. However, if you have a good internet connection, and you want to free your shelves, hate visiting gaming stores, go with digital games. But it is a matter of preference. Even with the above pros and cons of each type, you need to know what is vital to you. 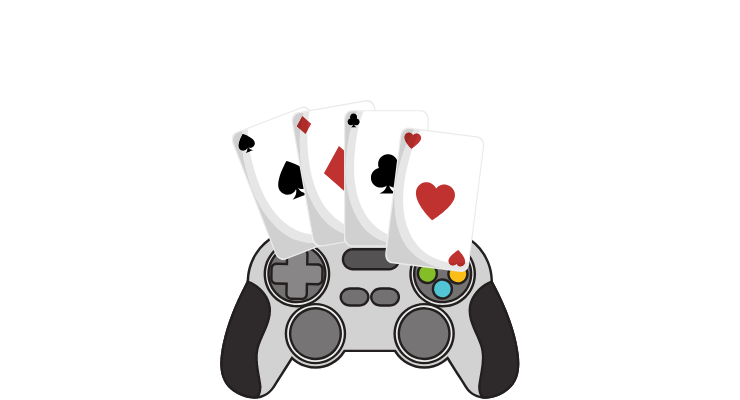 As a gamer, you need to make your decision based on your needs so that you can have an energetic gaming experience. Keep in mind that both physical and digital games can fit your lifestyle. Generally, many gamers mix physical and digital games. For example, if you are a digital person, you may see a good physical game deal that you can’t ignore. Also, if most of your favorite games are physical, then buying physical games is the best choice. Since there is no wrong way to enjoy games, always consider the pros and cons of each type. Are Video Games Linked to Violence or Not?